The travel time to Lincoln of four hours is worth it, he says, as he can bank on the same customers turning up, “so I know I’ve sold things before I get here”. The shift from two to one day is good, he feels, as “my take is going to be the same”. 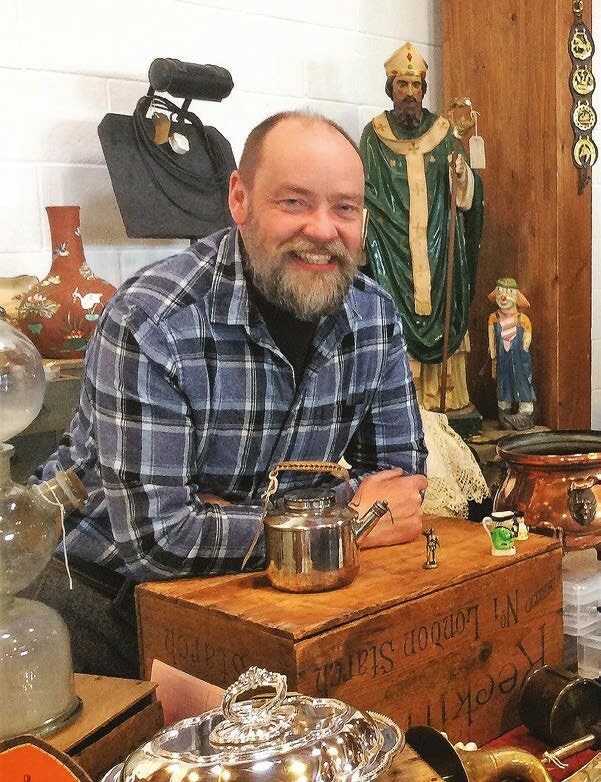 Kevin Wright has a shop in Scarborough, Home from Home, and travels to Lincolnshire Showground for fairs every eight or so weeks. 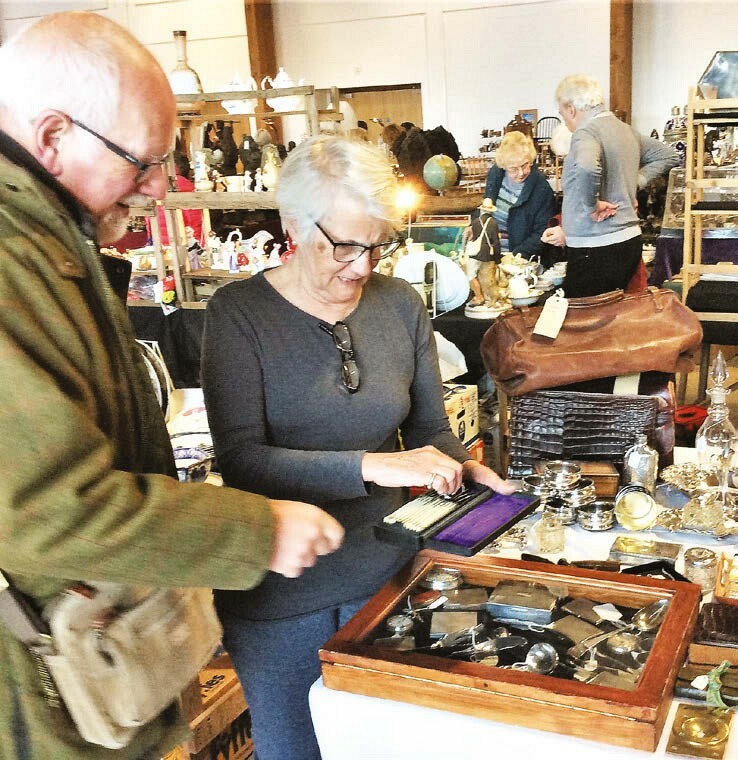 Hazel Walton has an elegant finger in a few pies, exhibiting at Lincoln, buying at IACF Newark and with a pitch in the Guardroom at the vast Hemswell Antique Centres in Gainsborough, Lincolnshire. As she told ATG, “I cover all bases”. Chinese buyers in particular were enticed by her silver objets de vertu. “Tantalus, silver pocket watches and hip flasks have done well this time and I’m clean out of all my silver hunting sandwich boxes,” she said. 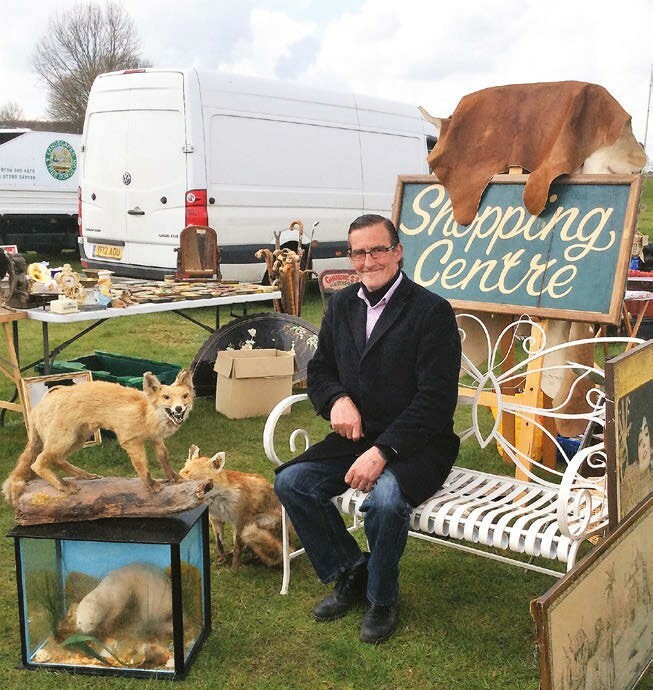 Furniture dealer Ian Wilson has been in the business 42 years and once had a shop in Peckham Rye and a warehouse in Bermondsey, both south London. 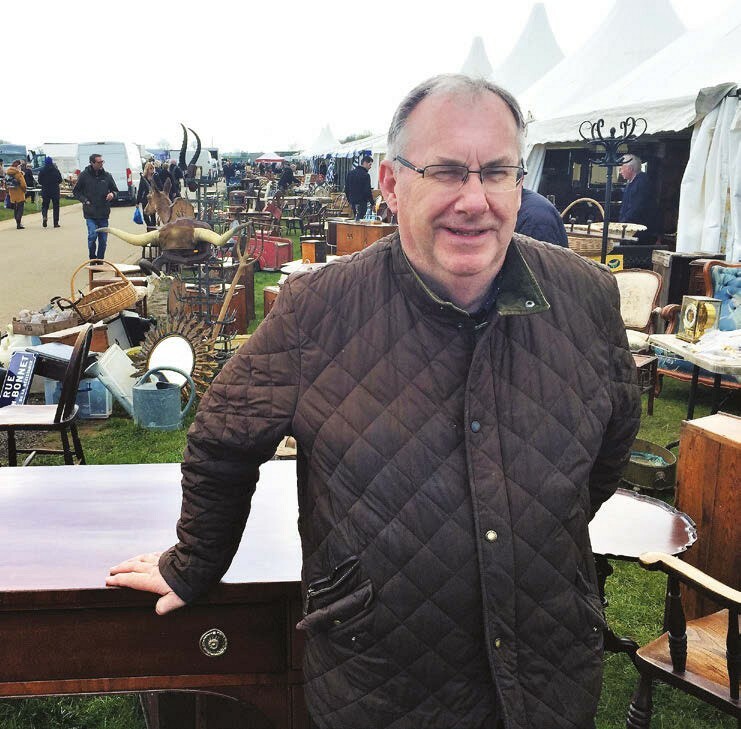 At Lincoln by noon he was relaxed, having sold to fellow trade a three-piece Chesterfield leather suite to a customer for £400, a farmhouse table for £200, a stone pedestal for £200 and a South Wales pine dresser. “I still like the trading aspect of it, the personal side, which is why I don’t like selling online,” he said.